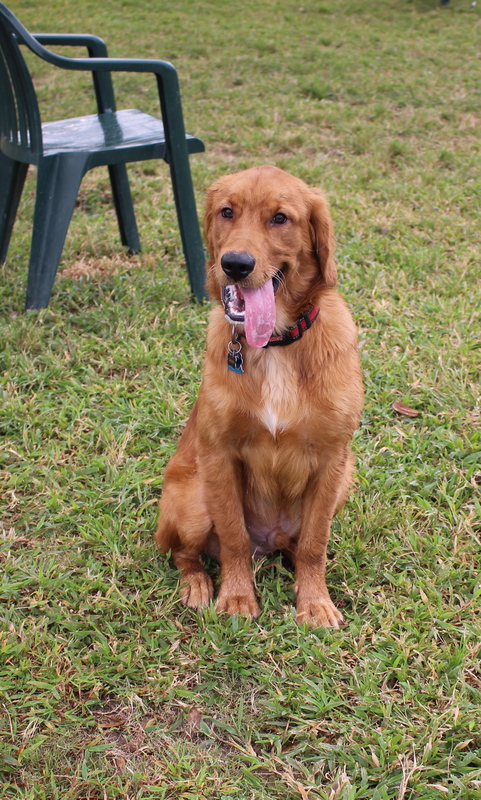 Our new puppy, Sammy, a seven-month old Golden Retriever, has turned out to be a chewer. Here are a few examples of stuff he’s enjoyed. 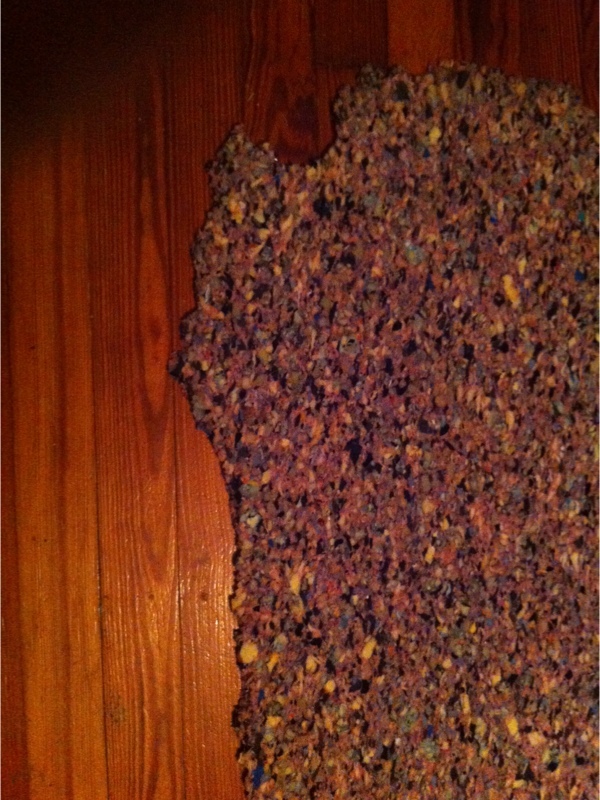 This is the chewed up edge of the pad under the rug in our bedroom. Over time he’s worked on it and left pieces littering the house. 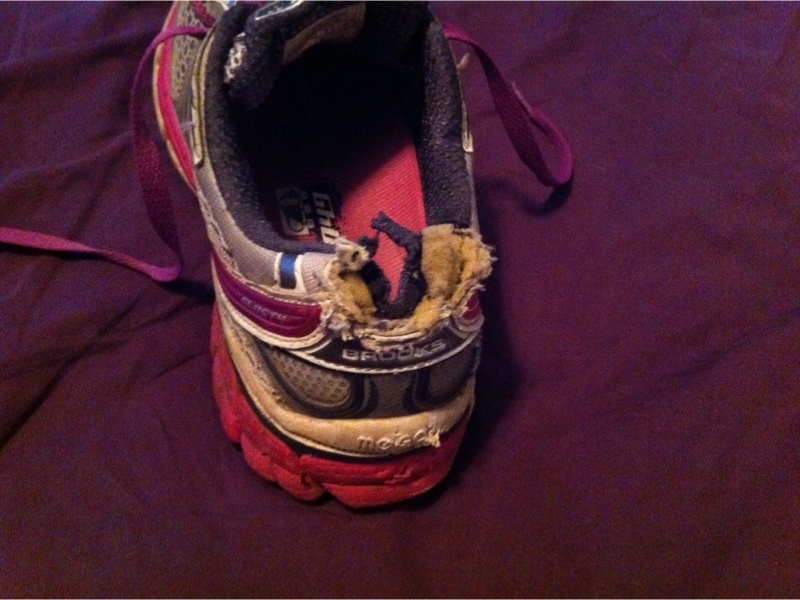 This is one of my older (thank goodness) running shoes. The back is gone and the shoe is uncomfortable, assuming I can get my foot into it without dragging the stuffing inside. I took a picture of my chewed up reading glasses, but I’m so technologically challenged that now I cannot locate it. Needless to say, the plastic frames were in five pieces and one of the lenses was scratched and unusable in a new pair. Rats! At least when I took the pieces to the optical department at Sam’s Club, I received a replacement pair for only the difference in the price of the frames. I’m working hard at keeping either my regular glasses or my reading glasses in a case when not wearing them, since the replacement offer is a one-time deal. 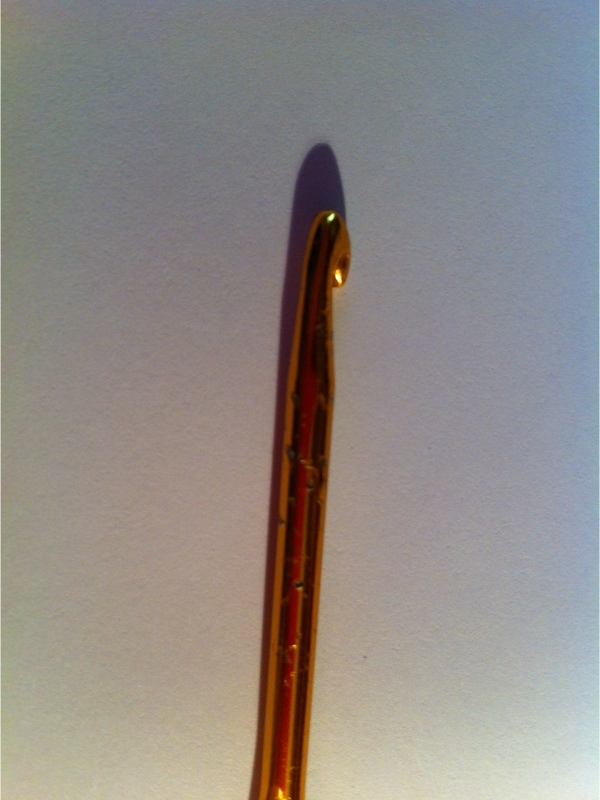 Finally, you’ll have to look closely, but this aluminum crochet hook is covered with teeth marks. It’s unusable since the yarn catches on the nicks. This is the culprit – but who wouldn’t love this baby? Do you have any destructive pets at your house? Thanks for reading and comments invited. 🙂 I agree, a gorgeous baby! My new boyfriend, Mike, has a baby 7 month old mixed lab, NewFoundland, and boxer puppy. She is black with a white stripe down her nose and a white tip to her tail and white paws and white undercarriage. Her name is Sophie, and she has stolen my heart. She, however, is also a chewer. She chewed up his only pair of tennis shoes. Now he must wear his cowboy boots all the time. She chewed up his son’s charge chord to his tablet, and he is eagerly awaiting Santa to bring him another one. His son is 18 years old. She chewed up his son’s blanket he has adored since he was a small child. I have done some major reconstructive surgery on it, and ended up taking the bunched up batting out of it, replacing it and quilting it again for him. But, when she is at my house, she seems to do really well. She chews on dog toys and dog chew things, like she is supposed to. When I leave the house, she stays in the laundry room with a large amount of her chew toys. 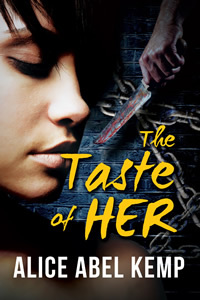 When I watched her for the weekend while he was out of town, she slept in the laundry room at night when I could not supervise her, and the only things left within her reach where meant for her alone. So, fortunately, she hasn’t chewed anything of mine yet. But, how can you not love such a wonderful, lovable, heart-stealing puppy? That’s going to be a big dog, Teona. Thanks for sharing. Happy Holidays.